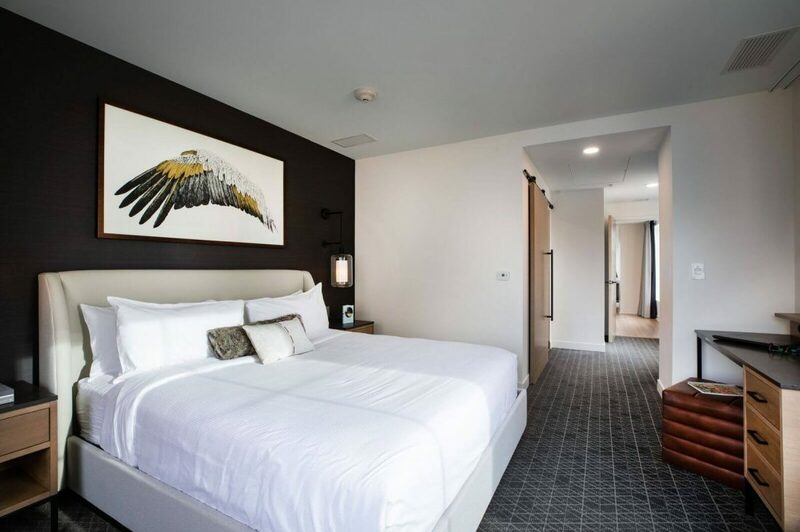 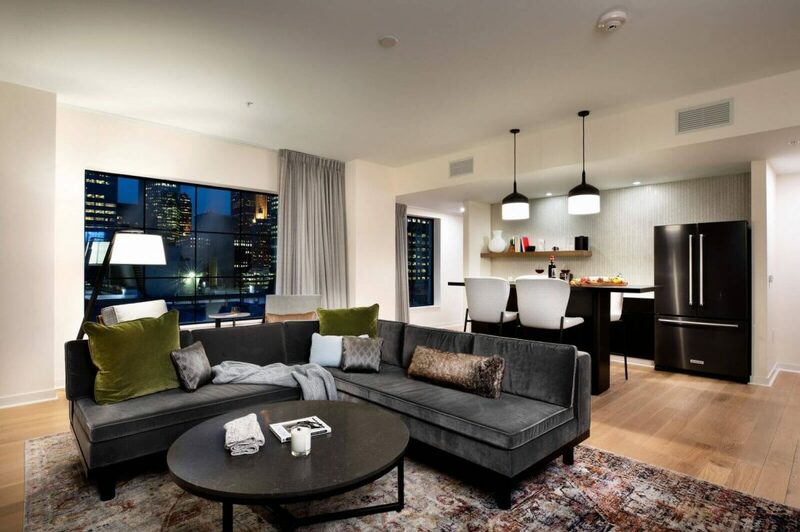 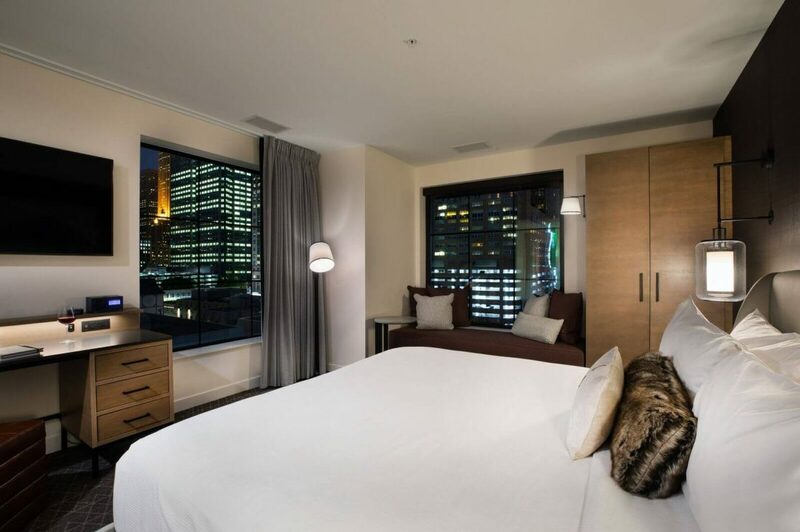 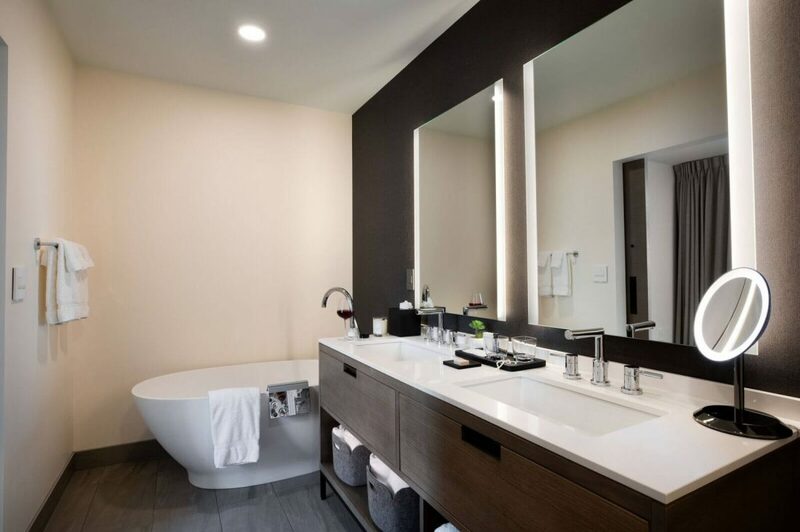 The Penthouse features the ultimate in comfort and luxury at Elliot Park Hotel. 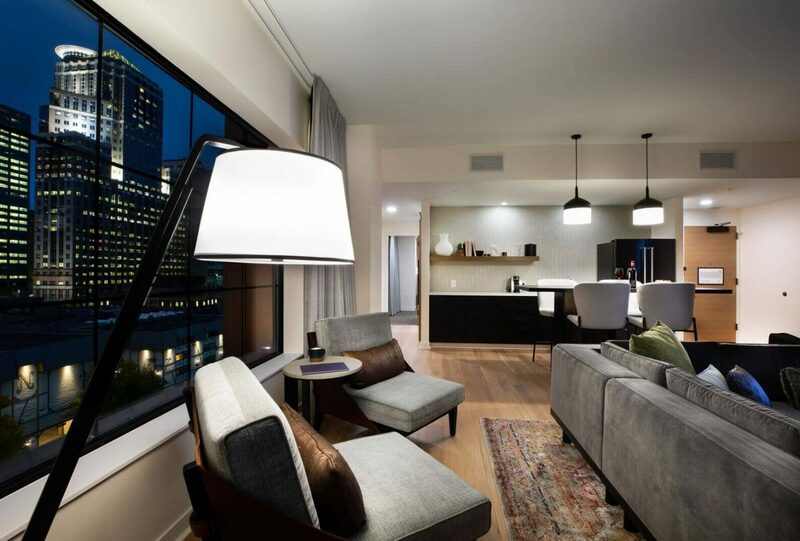 Several amenities such as elegant fixtures, sophisticated design, and a spacious multiroom layout create the ideal setting for entertaining or relaxing at the end of the day. 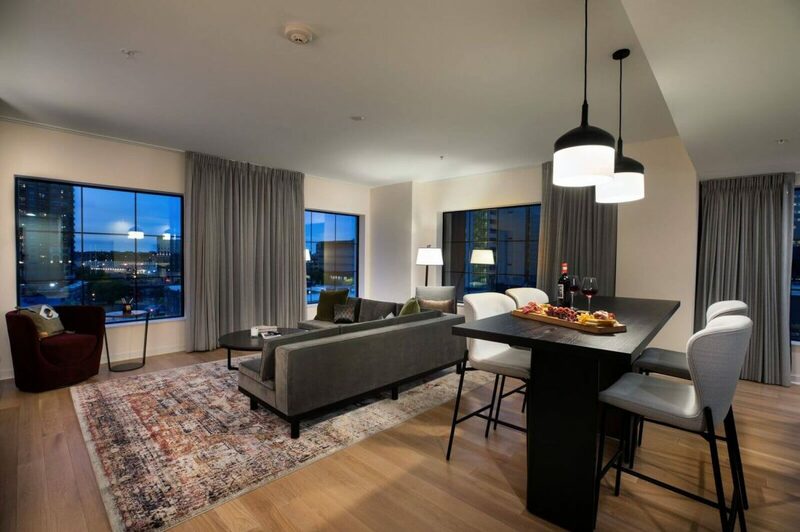 Whether you’d like to curl up with a book in the comfortable living area or throw a stylish cocktail party with the help of a full wet bar, the Penthouse accommodates even the most discerning traveler.